In this month's newsletter we give you a simple guide for choosing a tablet for work and we gaze into the future as we explore the Internet Of Everything. While most tablets don't pack the power of a fully-fledged laptop or Ultrabook, they are capable of an impressive range of jobs in a super-portable package which may be just the right solution for your business. Here is a quick guide to choosing the right tablet for your business. Buy an eligible HP ProDesk 600, EliteDesk 800, ProOne 400 or EliteOne 800 Desktop PC OR any HP ProBook 400 or 600 Series Notebook PC and receive a Bonus OfficeJet Pro 6230 ePrinter valued at $129. Plus many more business deals. Don't miss out. 4 reasons to buy your new server now! Buy before November 30th for cash-backs, 2nd processor, bonus support and more. The "Internet Of Everything" is the existence of uniquely identifiable devices interconnected via the Internet. The interconnection of these devices is expected to introduce automation in nearly all fields. Ever wondered if you have 'dead spots' in your home or office WiFi? This app will help you find out. 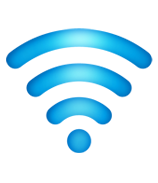 Telstra Wi-Fi Maximiser - Test your wireless signal and even create a 'heat map' of your home/office. You don't need to be connected with Telstra to use this app. Sometimes moving router to the middle of your house/office is not possible, so talk to us about how we can help you to extend your wireless range.